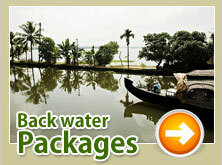 Green Kerala Holidays offers kerala Backwaters Package and Tour Package for Kumarakom. 1. Which is the best time to visit Kerala? Kerala enjoys balmy weather almost all through the year; due to its close proximity to sea, the climate of Kerala is neither too hot nor too cold. It has made Kerala an all season destination, however, the period between October to April are considered best as the temperature of Kerala during this period remains quite moderate and the period between April to August is considered the best time for getting Ayurvedic treatments, for which Kerala is known world over. The period between June to July, which used to be considered off season due to monsoons have also started to see a good influx of visitors. In fact, the Monsoon period is considered ideal for Ayurvedic treatments. 2. In which part of India is Kerala located? Kerala, one of the most tranquil states of India, lies to the extreme southwest of Indian peninsula. It is flanked by the Arabian Sea on the west and the mountain ranges of the Western Ghats on the east. The state can be divided into hills, valleys, midland plains and coastal belts. Formed in the year 1956, it has 14 districts with Thiruvananthapuram as its capital. 3. What are the major tourist destinations in Kerala? 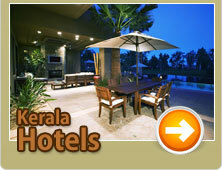 Kerala has become one of the most sought after tourist destinations in the country as well as abroad. It is famous for its rivers, backwaters and endless beaches. Besides, ayurveda, unani and naturopathy have also become quite popular among national as well as international tourists. 4. How can I reach Kerala, if I am residing outside India? All the important cities in India like Delhi, Mumbai (Bombay), Kochi (Cochin), Chennai (Madras), Hyderabad, Bengaluru (Bangalore), Kolkata (Calcutta), and Thiruvananthapuram (Trivandrum) are major international gateways for India. In order to visit Kerala, Kochi and Thiruvananthapuram airport are the most preferred. Kerala is well connected to all the major cities by trains and by domestic air carriers. 5. Which are the major International Airlines operating to Kerala? 6. Which are the major airports in Kerala? 7. Can I hire a mobile phone in Kerala? 8. How safe is drinking water in Kerala? 9. How should I tip waiters at restaurants / hotels? 10. How safe is it to eat non-vegetarian food in Kerala? Eat non-vegetarian food only in good restaurants. What you get in smaller places is generally of dubious quality though tastes quite yummy, thanks to concoctions of Indian spices and masalas. 11. What about the climate of Kerala? Compared to other Indian states, Kerala lies closer to the equator. Yet Kerala is bestowed with a pleasant and equable climate through out the year. This is because of the land's nearness to the sea and the presence of the fort like Western Ghats on the east. Kerala would have been a dry land because of the dry winds blowing from the north, but for the Western Ghats which prevent this wind from entering the land. Kerala receives copious rain (average 3000 mm a year) each year. The temperature in Kerala normally ranges from 28° to 32° C (82° to 90° F) on the plains but drops to about 20° C (68° F) in the highlands. The Highlands of Kerala, which is an area of major tourist attraction, enjoys a cool and invigorating climate the year-round. Owing to its diversity in geographical features, the climatic condition in Kerala is diverse. It can be divided into 4 seasons - winter, summer, South-West Monsoon and North-East Monsoon. Kerala enjoys a pleasant weather throughout the year thanks to its coastal location. It is a paradise for tourists who love the rich greenery,beautiful kerala backwaters and various beaches.Ideal time to visit Kerala are in the months of October to March which are rated as "peak season" but now any time of the year is a good time to visit the state due to the friendly weather.Summers and winters are pleasant with very slight variations in temperature. Though earlier people used to avoid the monsoon months between June and July but a trip during monsoon is as an experience in itself. Monsoons are also an ideal time to go for nice and warm ayurvedic and herbal massages and health rejuvenation courses.Tourists have a wide choice of tour options like kerala Backwaters Package,Tour Package for Kumarakom and all other major tourist locations and beach resorts.